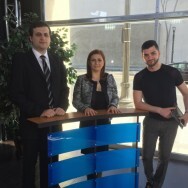 Stepan Sargsyan and Nelli Martirosyan, co-founders of Hayrenaser Organization, talk about the progress of the construction of the Lernahovit village school in the Kashatagh region of Artsakh on the “New Day” TV show. The reconstruction of the school is carried out by the Hayrenaser Organization. For additional detail about the project, visit the following page: http://hayrenaser.org/?cat=8. 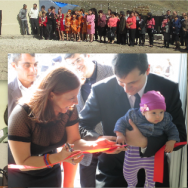 The Hayrenaser Organization has initiated the complete reconstruction of the school in the Lernahovit community of the Kashatagh region of Artsakh. The buildings of the Kashatagh schools are in dire condition, while schools in the liberated regions are not only centers of education, but a source and guarantee of economic, social and cultural development of the resettled village. If there is a school, then the inflow of salaries and other state funds will ensure the future of the settlement, thus contributing to the prevention of emigration. Strategic importance: Kashatagh is the link that connects the Republics of Armenia and Artsakh. Thus, it is extremely important for the security of our motherland and must continue to be resettled. Number of impacted people: the Lernahovit school serves the students of not just 1, but 4 surrounding villages. Maximum boost to the morale: located in the far north of Kashatagh, Lernahovit’s inhabitants feel shut out from the outside world and abandoned. The reconstruction of the school will provide a boost to the morale of the inhabitants. In fact, the very news of the reconstruction project has created great enthusiasm in Lernahovit. Volume of work: Hayrenaser’s means will allow the reconstruction of the Lernahovit school completely – from top to bottom. 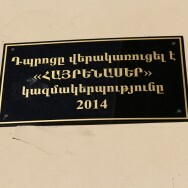 Prospects for the development of the community: Lernahovit is one of those few communities, which fulfills its budgetary expenditures using its own revenues, while many other villages in Kashatagh are dependent on subsidies from the central government to meet its budgetary obligations. Thus, if proper infrastructure is provided, Lernahovit has great potential for development and resettlement. Hayrenaser has prepared thorough architectural and engineering plans, as well as a detailed cost estimate of rebuilding the school (see appendices A & B). 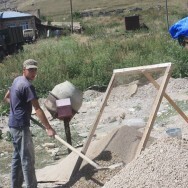 The Lernahovit community will provide free sand and stone necessary for the construction. As a result, the construction will cost only $38,000. Our heroes – the freedom fighters – liberated Kashatagh, so we can protect and develop it. Now it is our turn to prove that their sacrifices were not in vain. Thus, let us take on the sacred work of defending and developing our motherland and successfully complete the school reconstruction. 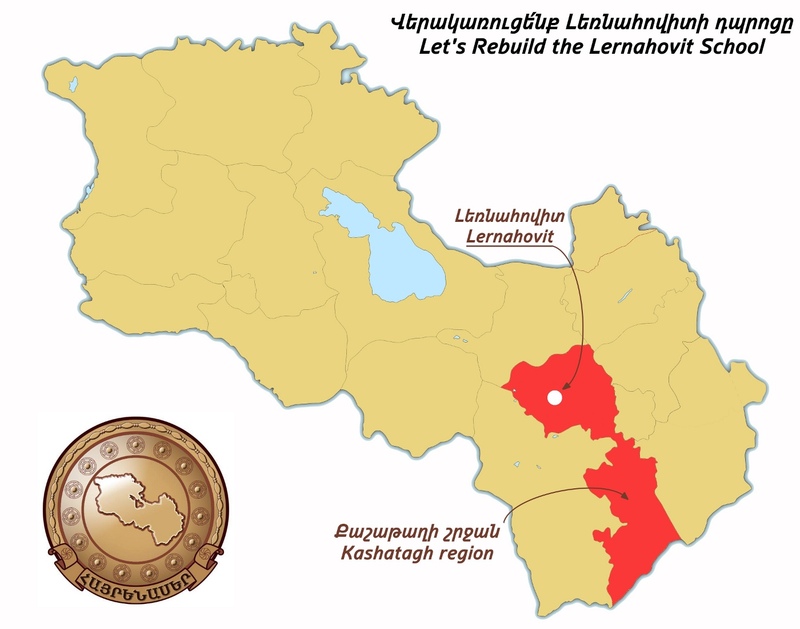 The Lernahovit community (formerly Yeznagomer) is located in the Kashatagh region of the Artsakh Republic, 50km north-west from the regional center of Berdzor (former Lachin). It started to be resettled by Armenians after the end of the Artsakh war, when our freedom fighters liberated Kashatagh. The Lernahovit community is comprised of its namesake Lernahovit village (47 inhabitants), Shrvakan (21 inhabitants) and Spitakajur (42 inhabitants) villages. 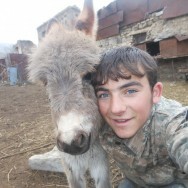 Lernahovit is one of those mountainous communities, where in addition to cattle-breading and bee-keeping people are also engaged in agriculture. 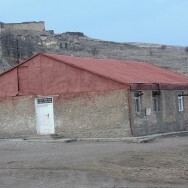 Lernahovit has a secondary school (grades 1-12), which serves the students from the above-mentioned 3 villages and the neighboring Hak village. In the 2014-2015 and 2015-2016 fiscal years the number of students will be 29 and 33, respectively.